Discover the Minivan everyone is talking about with the 2018 Chrysler Pacifica, named Family Car of the Year by Cars.com and a Best Buy by Consumers Digest. Browse our available inventory and then stop by York Chrysler Dodge Jeep Ram FIAT near Brownsburg to experience the Pacifica in person. Class-Exclusive Stow ‘n Go® Seating and Storage System so seats fold right in to the floor. 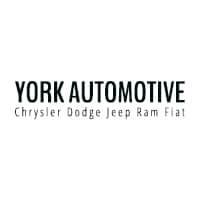 Experience the Pacifica today at York Chrysler Dodge Jeep Ram FIAT. See how the Pacifica compares to the popular Honda Odyssey before scheduling a test drive at York Chrysler Dodge Jeep Ram FIAT near Lebanon to see what the all fuss is about. You can even get pre-approved for financing before coming in to streamline your buying experience!